Sony has had a tough time turning its Xperia brand into a household name, but it continues to press on with handset releases in the hopes that something will stick. 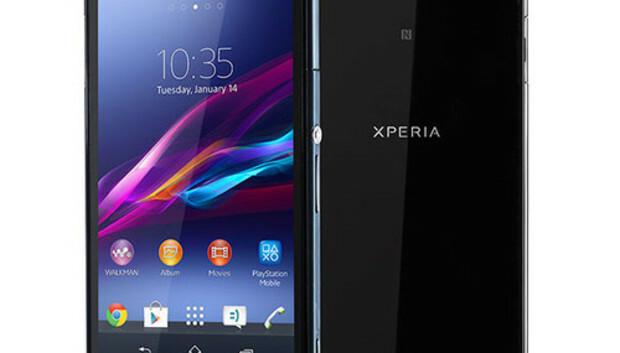 The company announced during its CES press event at Las Vegas the newest addition to the Xperia line: the Xperia Z1S. The Z1S, which runs Android 4.3 (Jelly Bean), is the first fully waterproof phone that Sony has made available in the U.S. The phone is powered by a quad-core 2.2GHz Qualcomm Snapdragon 800 processor, and features 2GB of RAM and a 3,000mAh battery pack. It ships with 32GB of storage and a microSD expansion slot, and features a 5-inch full HD Triluminos display. The handset's chassis is dust resistant as well. Sony is heavily touting the quality of the Xperia Z1S's camera. The phone comes with a rear-facing 20.7-megapeixel Sony G Lens, which utilizes the company's own proprietary mobile image processing engine. The phone also comes pre-loaded with Sony's new Xperia Camera Apps, which lets you add Augmented Reality effects to photos, shoot in a timeshift burst mode (in which the camera can take 61 photos in two seconds), or shoot with a defocused background for a tilt-shift effect. The company has also added a physical camera button on the phone so that you can press it to quickly take photos and video, even underwater. Gamers can also use the Xperia Z1S as a remote control, or purchase PlayStation Store game content using the device and download it directly to the PS3, PS4, or PlayStation Vita. The Z1S even supports the DualShock 3 wireless control for console-like gameplay with PlayStation Mobile games. If this all sounds right up your alley, you can pre-order the Xperia Z1S online beginning January 13 at the T-Mobile website. The handset officially goes on sale on Jan. 22.